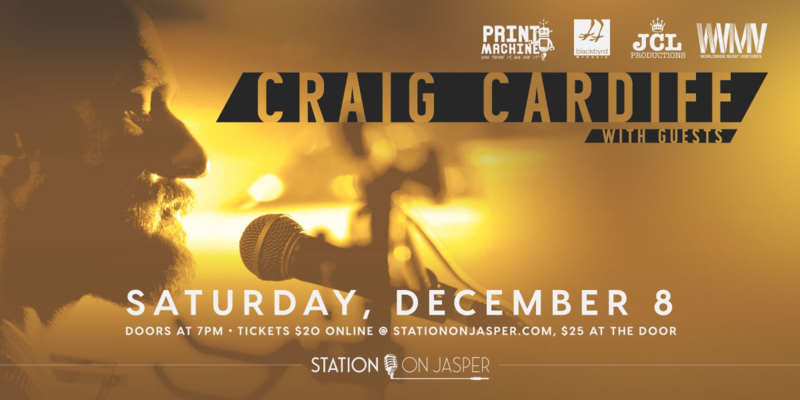 Songwriter & troubadour, Craig Cardiff builds landscapes of sound using live digital loops, bringing the room to a hush. Edged, folk, beautiful, melancholy and left leaning, one song breaks your heart, and the next one puts it back together. Craig Cardiff is a Canadian singer-songwriter. Known throughout Canada, Craig is beginning to develop a following throughout North America, and into some parts of Europe. With guitar in hand, Craig can turn any setting into an intimate affair, infusing his music and lyrics with a uncompromising humanism that is rarely seen in today’s production heavy climate. Craig makes it a point to keep the relationship with his fans personal, inviting and accepting any opportunity to make his audience as much a part of the performance as he is. Don’t be surprised if one day you find yourself enjoying one of Craig’s renowned performances from the comfort of your own living room.